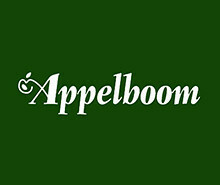 Well, I thought this week's Deals and Drops would be light, as we're exiting a sort of dead season where retailers were finishing up their closeouts, but both Pen Boutique and Pen Chalet came out with some excellent new promotions late yesterday, and some new products were released. Enjoy! 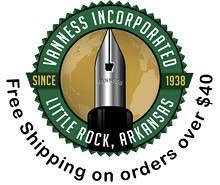 Pen Boutique Spring Sale. 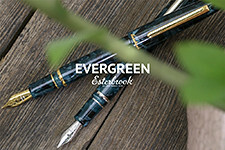 There's currently a massive storewide sale going on over at Pen Boutique, with everything in the store marked down 20-50% (with a few exceptions like Montblanc). Kaweco prices are especially good right now, with Classic and Skyline Sports selling for around $20 and AL-Sports as low as $64. Pen Chalet Double Ink Rewards on the 24th! From now on, earn double ink rewards on the 24th of every month, and also get access to some special promotional deals. Program terms here. New Items in Stock at Pen Chalet. Ron has some new stuff in stock at Pen Chalet, including the Kaweco Skyline Sport in Macchiato (which I recently reviewed here), the Kaweco AL Sport in Sky Blue, and the Lamy Pico Ballpoint in eyeball-searing Neon Pink. Field Notes "Utility" Edition (via Pen Chalet). It's yellow! I'm stoked that this one's on its way. I love the deep yellow color, and the engineer's graph and ledger paper. Montblanc at Anderson Pens. Anderson Pens has a wide offering of new, used, and vintage Montblanc pens, including this little Boheme pen at a nice price. Platinum Izumo (via Pen Chalet). Pen Chalet continues to offer the Urushi and Makie "Sea of Clouds" model for 50% off. This is a beautiful pen. Stipula Suprema Nuda Limited Edition (via Pen Chalet). 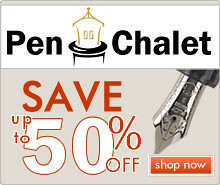 Pen Chalet has this Stipula vacuum-fill demonstrator on sale for 50% off. Conklin Sleeve Filler (via Pen Chalet). Also at 50% off, a nice Conklin with a vintage-style filling system. I've recently discovered Conklin nibs and found them to be excellent writers. Monteverde Mountains of the World (via Pen Chalet). 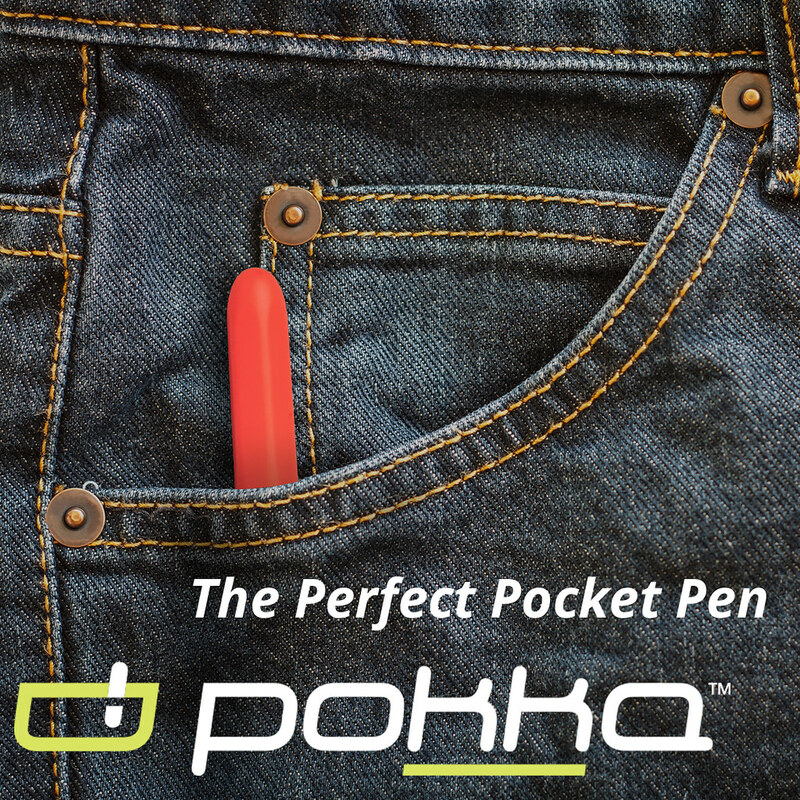 At 30% off an already great price, this pen punches out of its weight class in terms of looks. Bellroy Pocket Notebook Cover (via Huckberry). This leather pocket notebook cover features a magnetic closure and can also serve as a wallet. Bellroy makes high-quality leather goods. I carry their Hide & Seek Wallet in black. Cleo Skribent Classic Black PT Piston Fountain Pen (via Amazon). I've heard very good things, but still have yet to try one. Platinum Bourgogne 3776 Fountain Pen (via Amazon). Gold trim version only. Platinum Chartres Blue 3776 Fountain Pen (via Amazon). Gold trim version only. Super5 Ink Roller (via Massdrop). 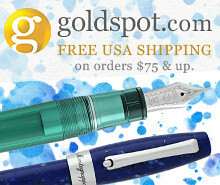 A rollerball pen that works like a fountain pen. I've not had the best of luck with this kind of pen in the past, but the idea is interesting, the price is relatively inexpensive, and you can mix and match colors. 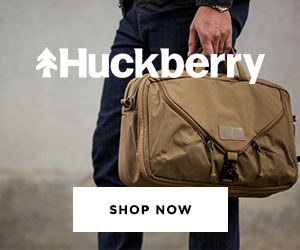 Harry's Essential Travel Dopp Kit (via Huckberry). 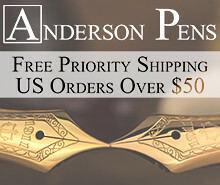 If you're a Pen Addict Podcast listener, you've undoubtedly heard of Harry's or tried one of their offers. I've purchased a few of Harry's Huckberry promotions, and you can grab some pretty good deals on shave supplies. This Dopp Kitt comes packed with a razor, shave cream, balm, and 8 blades. Norlan Whiskey Glasses (via Huckberry). If you're a whiskey fan, I prefer these to the Glencairn, but to each his own. Seiko 5 Sports SNZF17J1 Automatic Watch (via Amazon). Since I wrote my last Digital Divide newsletter talking about how I've moved away from the Apple Watch, a few people have reached out to me for recommendations on a relatively inexpensive, reliable automatic watch. Seiko makes great inexpensive automatic watches, and I wear this one a lot.